Pooky was born in Eccles in 1966. With a Trinidadian father, Bristolian mother and five siblings she didn’t have the most conventional Mancunian upbringing. Educated at state school, she was amazed to win a place at Oxford University to read English Literature where she did just about anything other than reading English Literature – acting, singing, playing in orchestras, costume design etc etc. She was asked to join Humphrey Carpenter’s big swing band ‘Vile Bodies’ as lead vocalist and enjoyed six years on the jazz circuit – including broadcasts and recordings for the BBC and a 5 year residency at London’s Ritz Hotel. Her energies turned to acting when she was spotted in a fringe theatre production of The Dutch Courtesan at The Man In The Moon Theatre – and invited to join the National Theatre’s productions of A School For Scandal, Racing Demon and Sunday in The Park With George. 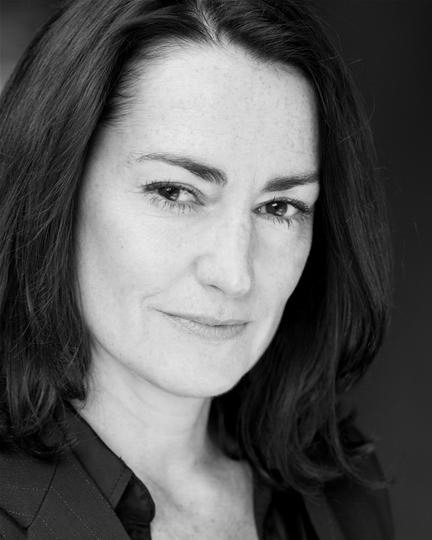 She then worked with Shared Experience Theatre, helping develop the characteristic house style – playing in Sweet Sessions, Anna Karenina, and Jane Eyre and played various leads in provincial theatres, including the Royal Exchange Manchester and a national tour of Noel Coward’s Present Laughter, playing the dryly witty Monica to Ric Mayal’s Gary Essendene. Her TV career began with leading roles in Cardiac Arrest, Finney and Thief Takers. She continued to play strong dramatic roles in drama series such as Criminal Justice, Accused Five Days. She is more widely known for her role as Rachel Branning in Eastenders and for playing the lead role, Nita McKinnon in the Debbie Horsefield drama series – True Dare Kiss. She has recently taken on more comic roles in series such as Shameless, Not Going Out and Truckers. She has appeared in the films – The Hawk, Great Expectations and Jane Austen spoof – Pride and Prejudice and Zombies. She is also a writer – commissions include the National Theatre Studio, Carnival Productions, Family Affairs, Holby City – and has written over 40 Episodes for BBC’s Doctors. When not acting or writing, she enjoys surfing, climbing, swimming, practicing yoga and Tai Chi.